Hyderabad, 7th July 2017: The semifinal matches of the 34th Youth National Basketball Championship for Boys and Girls got underway at the Indoor Stadium, Gachibowli in Hyderabad. Tamil Nadu and Karnataka girls, as well as Punjab and MP boys are through to the finale. Tamil Nadu girls showed excellent composure and stuck to their game plan to defeat Kerala in the first semifinals. Tamil Nadu’s stifling defense threw the Kerala’s offense into disarray. The entire Tamil Nadu starting unit got going early, as they raked up a 21-12 lead. In the second quarter, Kerala did a better job of slowing down Tamil Nadu, as the teams traded buckets till halftime. The third quarter was surprisingly low scoring with neither team able to get into an offensive rhythm. To make matters worse, Kerala forward An Mariya Johny had to leave the game due to an inury. By the end of the third period, Tamil Nadu led 39-28, and in a bid to reduce the deficit, Kerala started applying defensive pressure in the fourth quarter. Kerala brought themselves within 5 points of Tamil Nadu, before the latter was able to break free for easy transition layups and the ultimately comfortable 59-50 win. 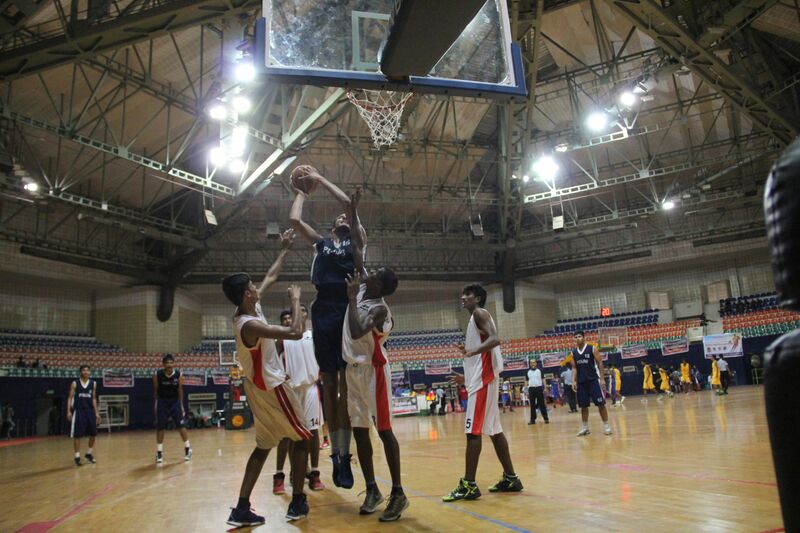 In the first boys’ semifinals, Punjab boys had no trouble against the undersized Andhra Pradesh defeating them 68-53. Punjab centre Princepal Singh yet again was too much to handle, as Andhra Pradesh were outrebounded and outscored in the paint. Punjab led for nearly the entire game as Andhra Pradesh was forced to keep playing catch up before eventually falling well short. The third semifinals saw Karnataka girls continue their undefeated run as they outmatched Uttar Pradesh 75-46. Centre Sanjana Ramesh top scored for Karnataka with 23 points while forward Anagha Nagarajan contributed with 13 points of her own. For Uttar Pradesh Vartika Kushwaha led her team with 19 points. Karnataka had a whopping 29 points from UP’s turnovers, and were also able to score repeatedly from the inside to ultimately win by a margin of nearly 30 points. The fourth semifinals was a chippy encounter between two teams very similar in size and approach. There was very little to choose from between these two bruising sides intent on forcing their way to the rim and scoring within 10 seconds of the shot clock. Madhya Pradesh had a double digit lead late in the game before Haryana rallied to bring it within single digits. But the side from central India managed to go on another late run to seal the thrilling 85-82 win.